A cozy, rustic tiny house that's perfect for a weekend getaway! 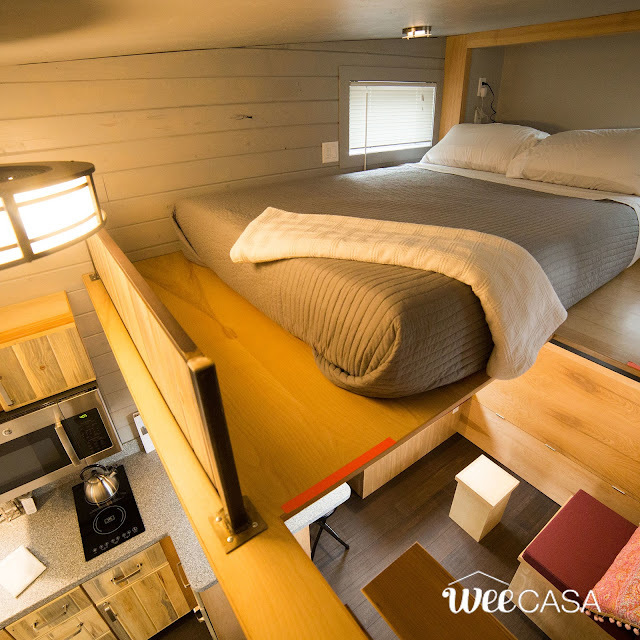 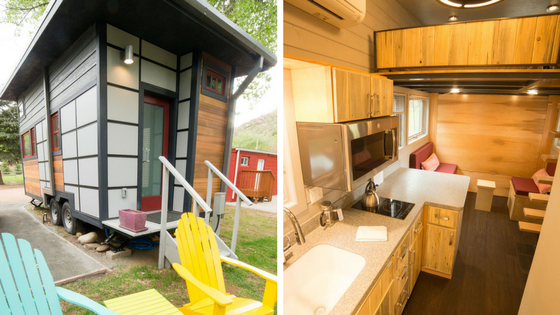 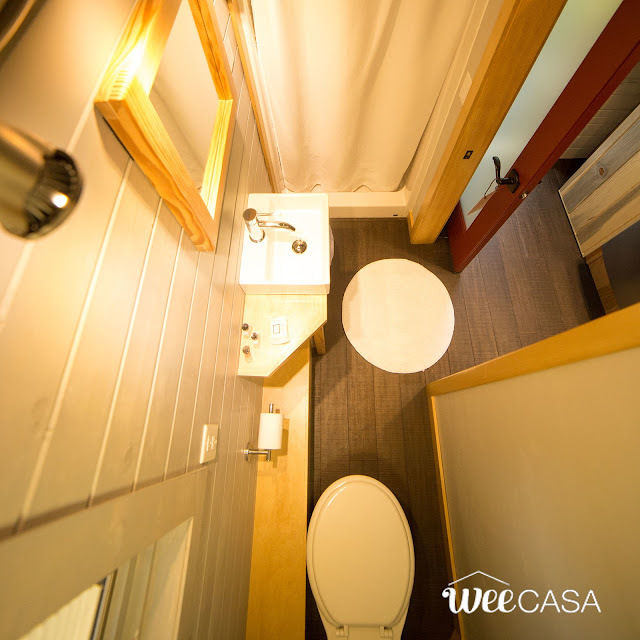 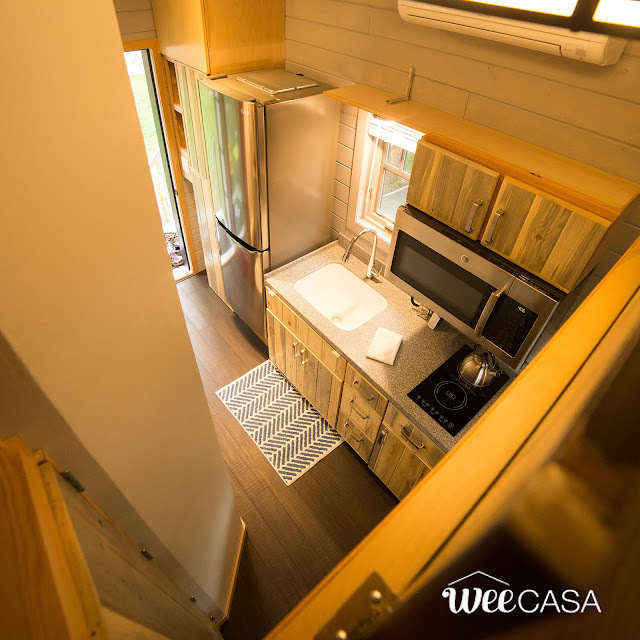 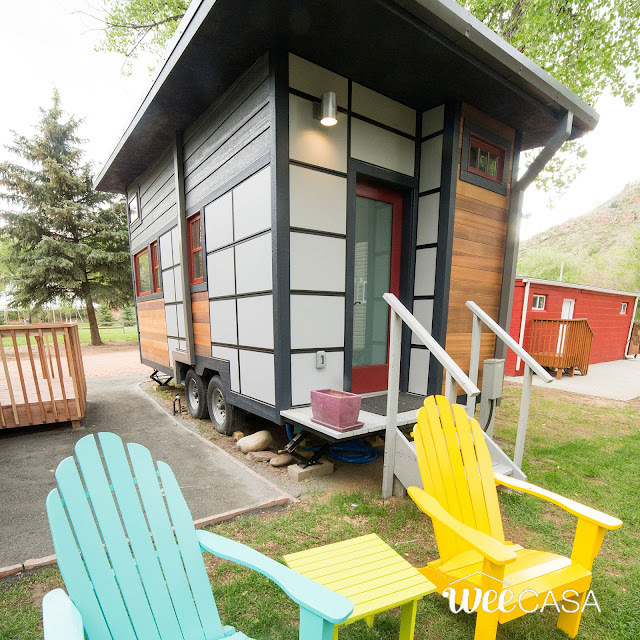 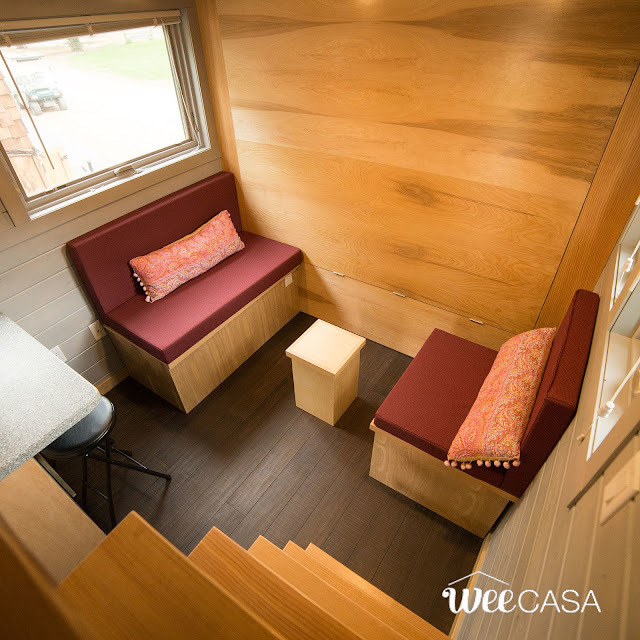 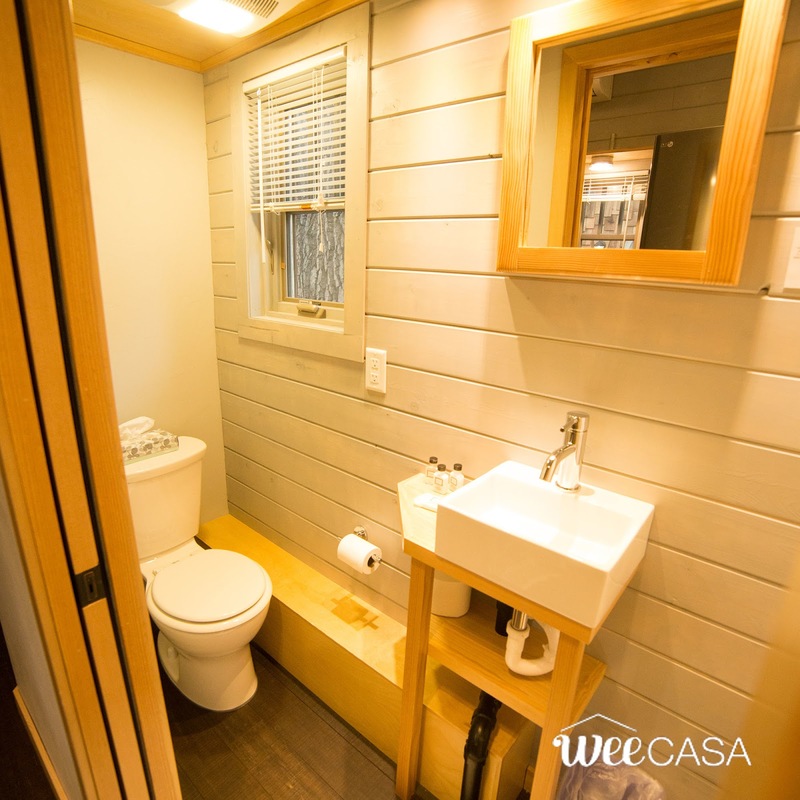 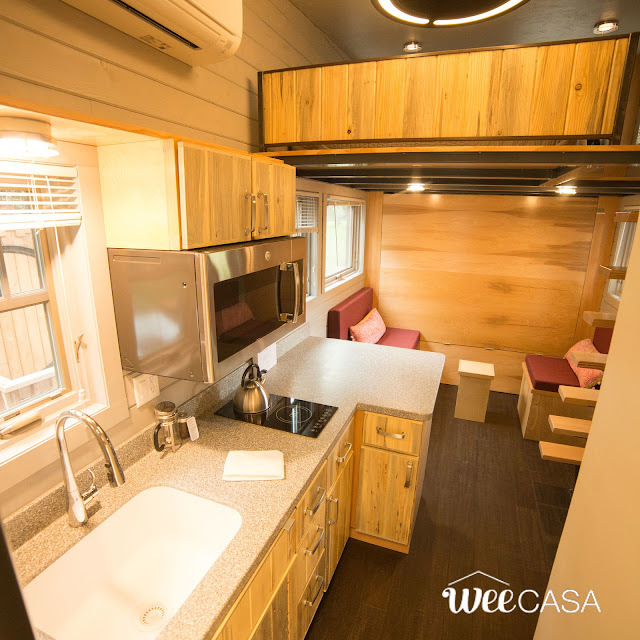 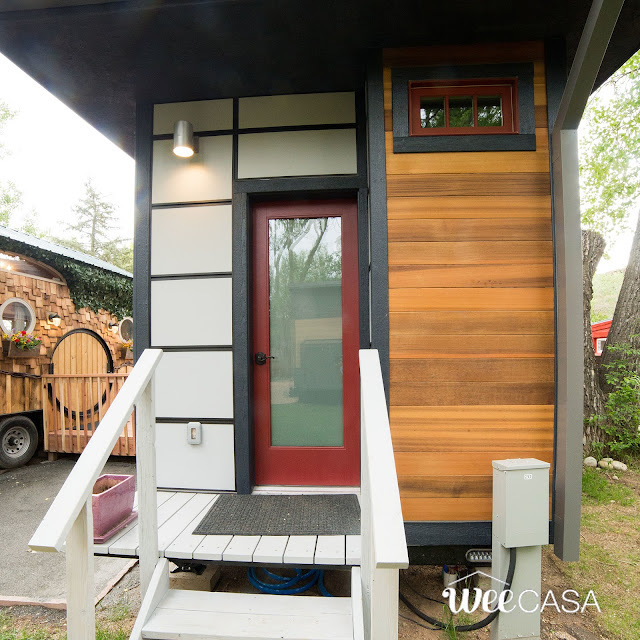 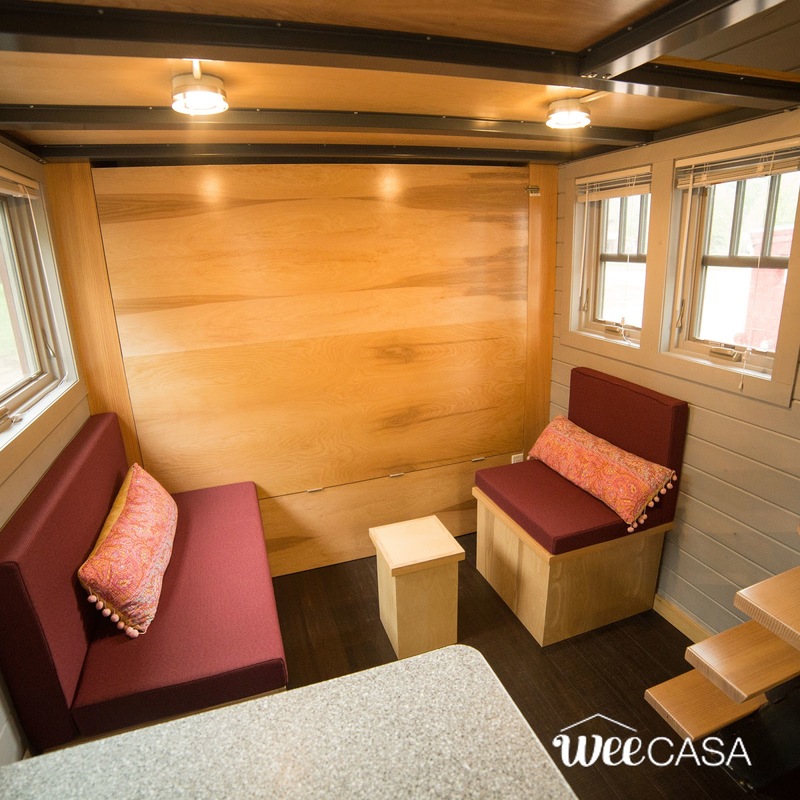 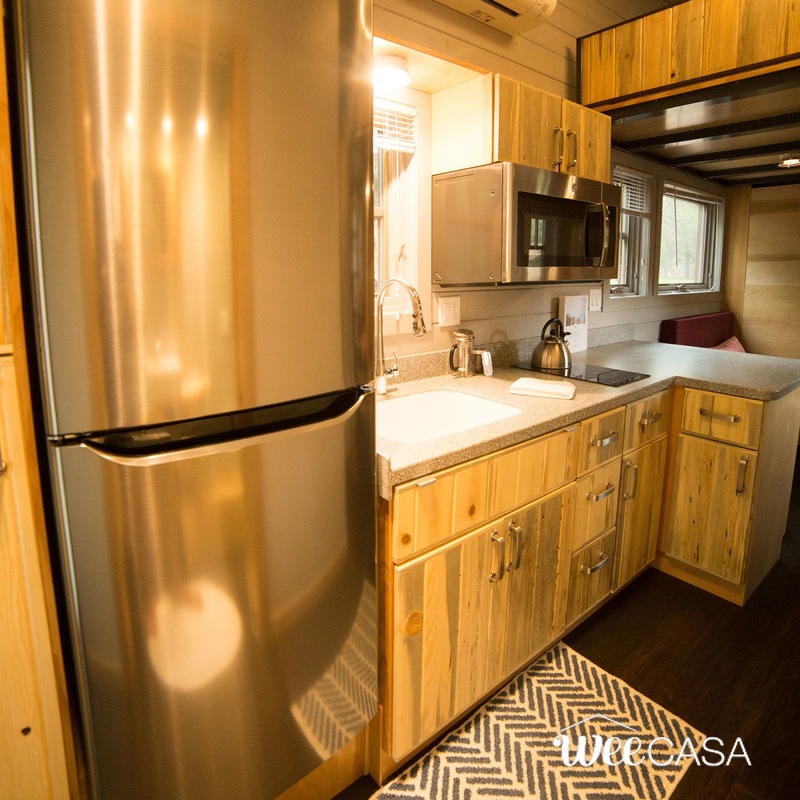 The Solaire is one of 20+ tiny houses available at the WeeCasa Tiny House Resort in Lyons, Colorado. 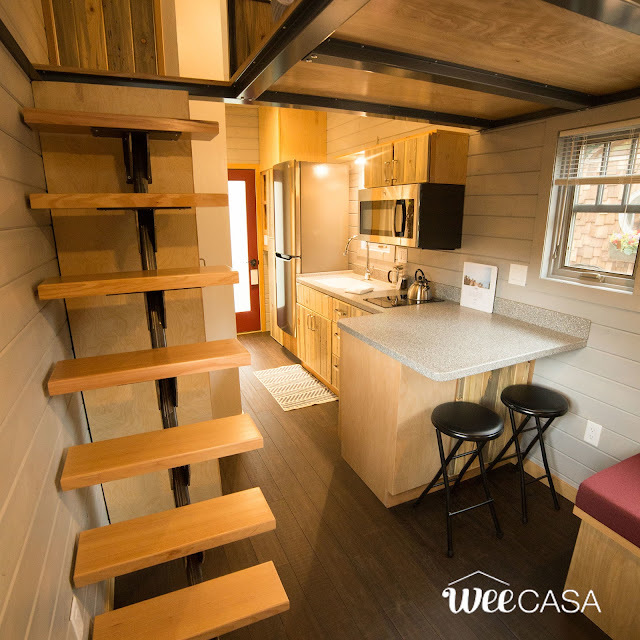 Its 170-sq-ft interior features bright shiplap walls with a kitchen, living room, bathroom, and a loft bedroom. 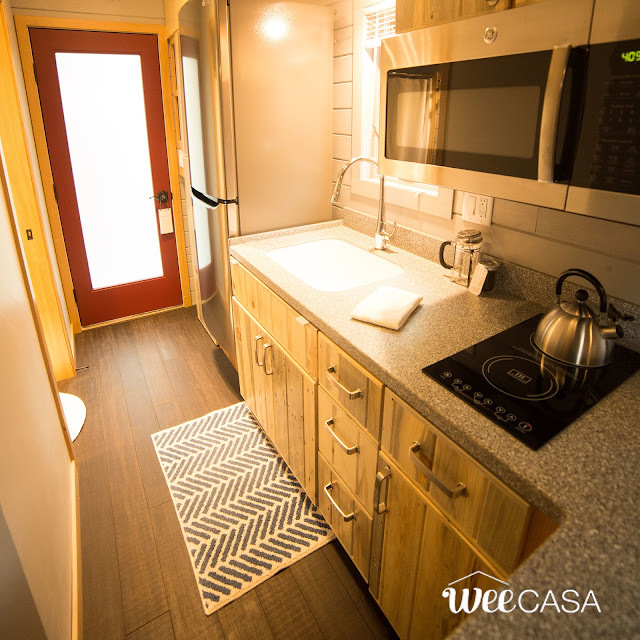 The kitchen comes with a double-burner induction cooktop, a full-sized fridge, microwave, beetle-kill pine cabinets, and an L-shaped countertop with bar-style dining for two! 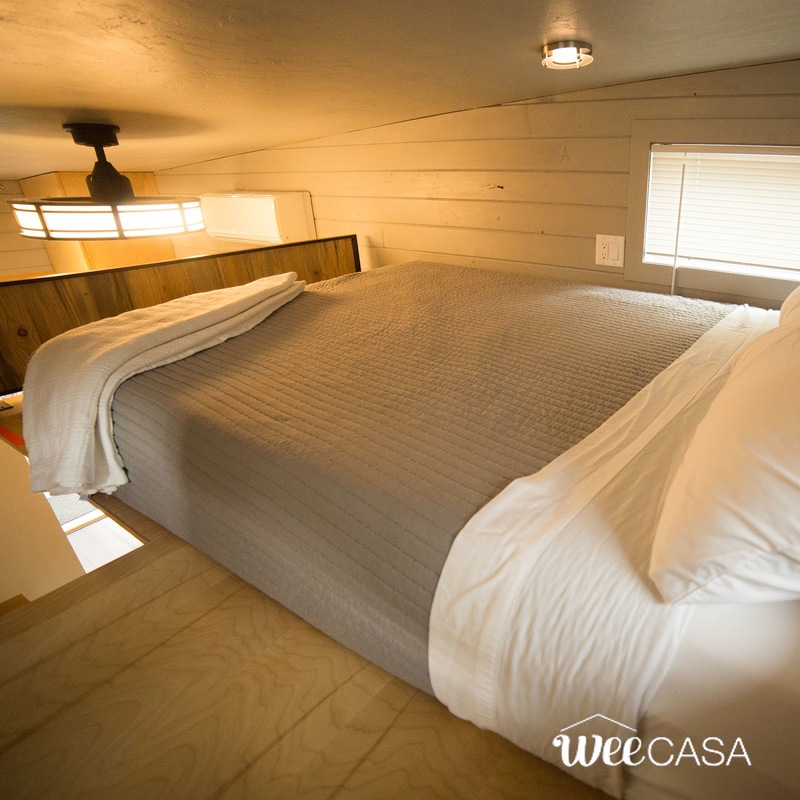 There's also heating and A/C available. 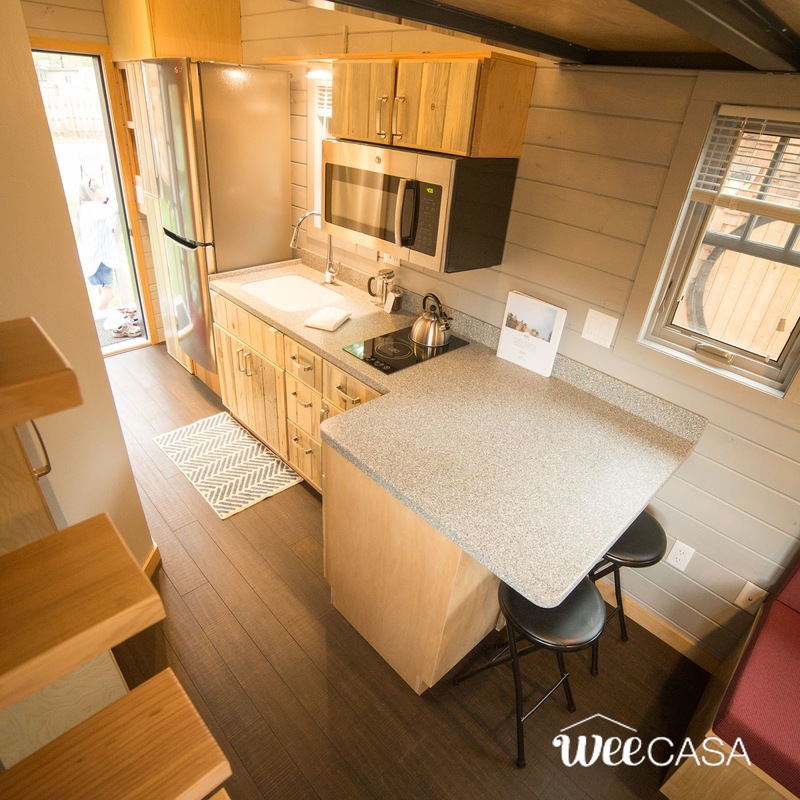 The Solaire is currently available for rent here at $129 a night.